This fall, those who enjoy meaningful debate, with an edge, delivered by some of today?s most provocative thinkers and taste-makers are in for a treat. Emmy award-winning journalist and editor-in-chief of OZY. com Carlos Watson will bring the conversation live and direct to PBS on Third Rail with OZY on Friday, September 8 at 8:30 p.m. and six Fridays to follow. ?Third Rail with OZY will be sharp, smart, and we hope, fun. WGBH?s partnership with OZY Media creates a rare and important opportunity for Americans to really listen to each other, and engage with a diverse range of viewpoints for a new type of conversation?? says Denise DiIanni, series creator and senior executive in charge for WGBH. 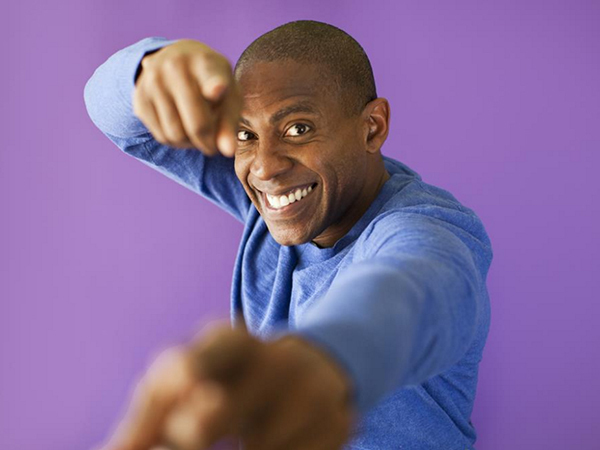 ?After the success of Point Taken in 2016, we are excited to welcome Carlos Watson back to PBS stations this fall. Carlos brings a unique combination of smarts and razor-sharp wit to his role as host and moderator, exploring a range of topics that are timely and relevant to the concerns of the American public,? said Marie Nelson, vice president, News and Public Affairs, PBS. ?While there are many issues that divide our country, there is often common ground to be found. We are proud to continue to serve as a platform for spirited and civil discussion.? Watson, who has written for the Detroit Press and the Miami Herald, was born and raised in Miami, Florida and holds an A.B. in Government from Harvard University and a J.D. from Stanford Law School. Prior to heading up OZY. com, he briefly served as a political commentator on CNN and news anchor on MSNBC. TNJ.com: How was Third Rail with OZY conceived? Carlos Watson: Third Rail with OZY is a fantastic new, weekly debate show from PBS, WGBH and OZY we all felt like we?re at a really unique moment in our country?s history where we are riveted by fundamental debate in a way that perhaps we haven?t been in 40 or 50 years. We?re debating questions of nuclear war, healthcare rights and who gets to come into the country. What?s a foreign alliance? What?s the proper way to talk to people? All those questions are played in a really profound way. We realized there hasn?t been a good space for true debate, and by true debate I mean debate that is both substantive and passionate. So, we created Third Rail with OZY. OZY is the digital magazine that I run and WGBH is the pioneering PBS affiliate out of Boston. We all came together to create this, and do something special not only for public theater but for the larger national landscape. TNJ.com: Is there a unique angle about the series that you think will keep viewers tuning in each week? C.W. : I hope three things will really single it out and make it something that people increasingly fall in love with. I think there a lot of places where you can go if you want to hear like-minded people. But there aren’t that many spaces like Donahue and Nightline once were, where you can really see people from very different sides engaging in meaningful debate. And I don?t mean just shouting at each other; that?s not a debate. So, I hope that will be a part of it. Second, I am really proud of the unusual kinds of guests we?re putting together. You don?t often see Malcolm Gladwell and Eddie Huang on PBS. So, I think that?s a really big and important opportunity here. I?m really excited to see how this will unfold as a quality of people who will participate in the show. Last, but not least, there?s real electricity and power in a big studio audience. I remember all of the magic that came from Phil Donahue?s show and Oprah?s show and what a live studio audience did for both shows. It brought those shows to powerful and unexpected places. So, I hope these three things and the host, yours truly, will earn a little bit of people?s time every week. TNJ.com: This isn?t your first foray into being a host. You also served as host of ?Point Taken? in 2016 on PBS. How will Third Rail be different from that show? C.W. : The biggest difference is that this show will have even healthier debates than that show had. We are at a very different moment in 2017 compared to 2016 in terms of the conversations that are in play. Also, the guests that we?ll see will be really special and last, this show is a co-production of OZY which will bring a digital vibrancy to it that will be really valuable because the reality is that as many people will watch this show online as the people who will watch it on classic television.? TNJ.com: Tell me a bit about OZY. C.W. : OZY was founded 3-plus years ago with a real desire to re-imagine news for what we like to call the ?change generation.? We thought for a new generation it simply wasn?t enough to just regurgitate a handful of headlines as so many news orgs do but part of what was critical was, for the most curious among us, to feel like you?re getting bolted ahead everyday. You?re getting people who are showing you the new and the next rather whether that meant rising stars, important new trends or provocative ideas. There is a place that is regularly trying to put you 6, 12 or 18 months ahead of the curve. So, that?s been at the heart of OZY. We?ve built a large audience; nearly 40 million people a month are reading, watching or listening to OZY and now I am proud to say that while OZY began as a digital platform, we?ve also evolved into a larger global media startup that features a terrific, annual ideas festival called OZY Fest. TNJ.com: What do you hope people will say about the show after watching a few episodes? C.W. : Did they really say that? !